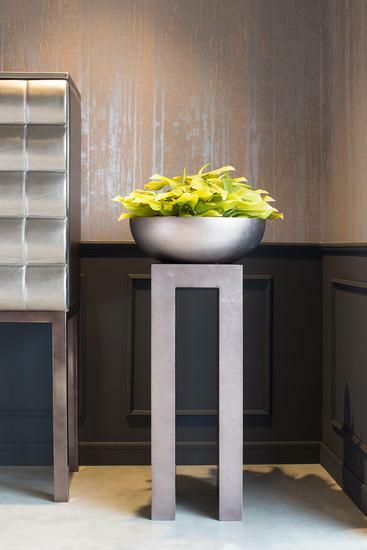 The new, noble pedestals highlight your bowls and vases and are beautiful design elements in furnishings. 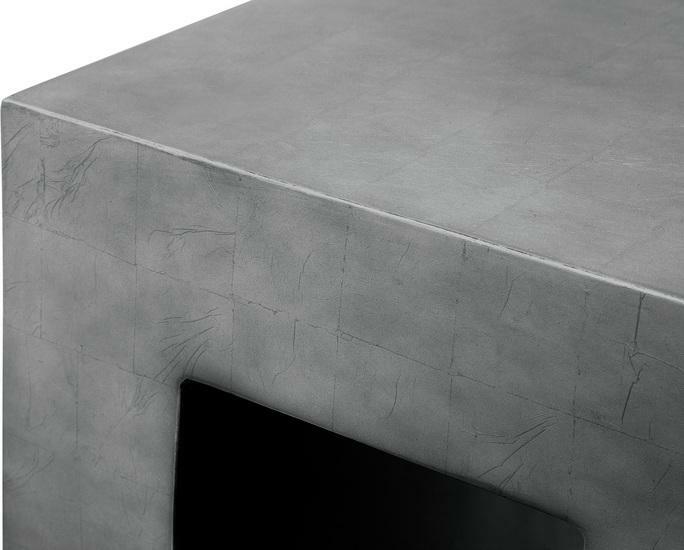 Beautiful design elements are the new ROYAL pedestals with a surface in matte silver leaf finish in noble titanium grey. The base is made of sturdy polyresin and two sides are framed - a wonderful, austere design which harmonises with many furnishings and offers a perfect presentation space for bowls and vases.